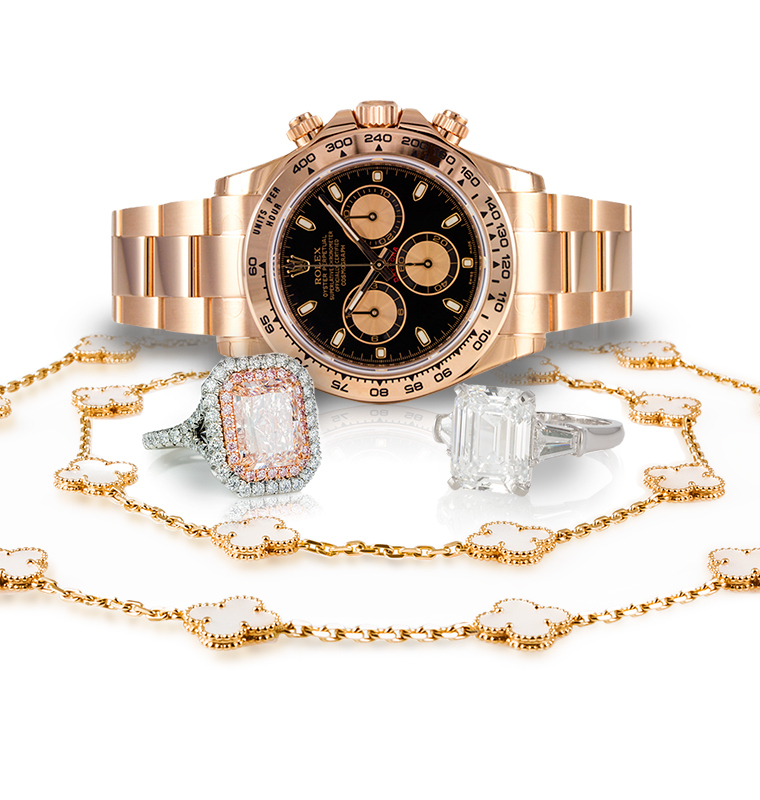 Not sure who to trust when selling your watches, diamonds, jewelry and other luxury items? Not interested in getting buzzed into a crowded pawn shop or driving downtown? Ideal Luxury will make you a reasonable offer you can contemplate on your own timetable from the comfort of a private office. If there is a new piece you would rather have than one you already own, Ideal luxury would be happy to construct an offer including your trade-in. Because of our extensive resources, knowledge and decades of experience, Ideal Luxury can offer our customers prices for their items that are hard to beat anywhere in the industry. Still hoping for more money, Ideal Luxury will gladly give you tips on how to sell your pieces on your own. We simply want to be your favorite resource in the business. We don’t mind if the fine watches, diamonds, jewelry and other luxury items we specialize in are coming or going, just as long as our clients are happy. We are able to do this quite simply by maintaining a low overhead and offering world class customer service, one client at a time by appointment only. Ideal Luxury specializes in properly evaluating and buying fine, pre-owned watches from prominent makers like Rolex, Cartier, Patek Philippe, Panerai, Omega, Breitling Tag Heuer, and many more. If there is a market for your fine watch, we are ready to make you a fair offer. This is easily accomplished in one visit and without any pressure or obligation to sell. Are you curious what your diamond is worth but afraid of who to ask? Ideal Luxury would be happy to quickly and discretely explain what you have, how it’s valued and what you could sell it for. This is easily accomplished in one visit and without any pressure or obligation to sell. Ideal Luxury offers extensive experience in evaluating and buying fine jewelry. We specialize in valuing signed pieces from designers like Tiffany & Co, Cartier, Van Cleef & Arples, Bulgari, Chanel, David Yurman and many more. We would be happy to quickly and discretely explain what you have and what it is worth. This is easily accomplished in one visit and without any pressure or obligation to sell. Ideal Luxury will thoroughly evaluate, authenticate and value your “gently loved” luxury handbags exclusively from Hermes, Louis Vuitton and Chanel. These top brands have established themselves as leaders in designing handbags that not only last, but retain a significant percentage of their value. If there is a market for your handbag, we are ready to make you a fair offer. This is easily accomplished in one visit and without any pressure or obligation to sell. Are you confused by all of the attention and marketplaces for gold? Are you curious what you have in gold and silver but afraid of who to talk to? Ideal Luxury would be happy to quickly and discretely explain what you have, how its valued and what you could sell it for. This is easily accomplished in one private appointment and without any pressure or obligation to sell. If your recent loss of a friend or loved one is compounded by the daunting task of liquidating their estate, Ideal Luxury can help make this easier. We specialize in fine watches, diamonds and jewelry and can easily give you an idea of what you have and what to do with it. Let our expertise and private environment offer you a sensible solution to this common dilemma. While we don’t specialize in art, furniture or other estate pieces we recommend you avoid “one size fits all” solutions to estate liquidation.